WHO IS THE HARLEM RHYTHM BAND ? The Harlem Rhythm Band was born in the foggy and freezing valleys of south-eastern France more than ten years ago. From the beginning the band was made of musicians crazy (but they are treated) about swing jazz from the 30s and 40s, sophisticated arrangements, vocal and the Cotton Club legend. Over the years, the band has been playing a lot in clubs, festivals and recently for swing dance festivals which are becoming increasingly popular worldwide and all the time looking for bands which play in the swing jazz style of american mythical orchestras. As written by J.-P. Daubresse in the “Jazz Swing” magazine: “The Harlem Rhythm Band brings a bit of freshness in the middle of overplayed swing jazz”. The band reputation has continously grown because of the quality of its performances, the talent of its musicians who are considered to be among the best in France, their love for real swing jazz and finally, their taste for “entertainment”. Simply one of the best swing saxophone player in France ! Plays regularly with the American sax legend, Scott Hamilton, when he comes to France. Often on the road with his quintet featuring Michael Cheret on tenor sax and Olivier Truchot on piano, to pay tribute to Scott Hamilton and to the Zoot Sim and Al Cohn quintet. 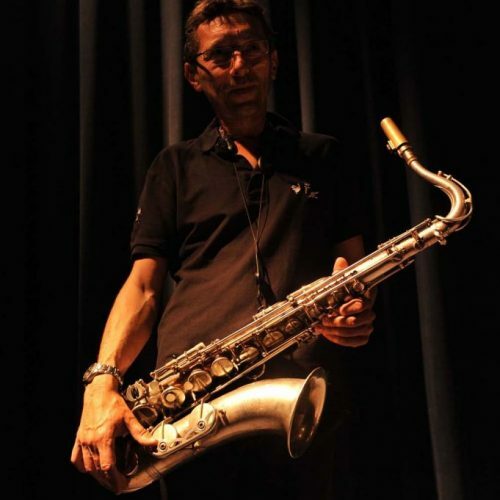 Teaches saxophone and leads masterclass in the Grenoble area. Originally a pianist, he taught himself the trumpet to busk on the French Riviera during the summer and in Paris in the winter. Start playing the saxophone after the shock of hearing Daniel Huck with the Orphan Celesta. He has played with many swing bands in the Grenoble area, in Sweden where he lived during five years and during the years he spent in Hong Kong. He is the HRB arranger. Went from the HRB Back-line (Tuba) to the Front line (Trombone) the day the band decided to play the swing repertoire only. Drum teacher in Grenoble area. String instrument collector: Guitars, Banjos, Mandolins, Ukulélés and ... Dobro guitar. Started the music in bluegrass and country bands before deciding to play swing jazz only ... on Dobro guitar only. Double bass and Guitar player. Plays in many gipsy bands of the south of France. Swing Jazz Musician France – You have to come, listen and watch the Harlem Rhythm Band musicians. 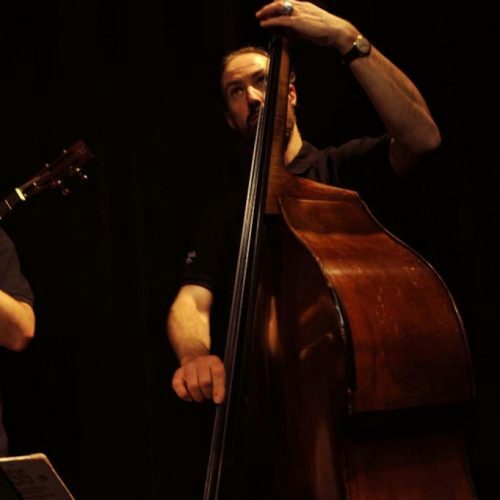 They are authentical Swing Jazz lovers, great entertainers and just among the best Swing Jazz players in France !